Written after the death of his mother, Donte Collins's Autopsy establishes the poet as one of the most important voices in the next generation of American poetry. As the book unfolds, the reader journeys alongside the author through grief and healing. Named the Most Promising Young Poet in the country by the Academy of American Poets, Collins's work has consistently wowed audiences. 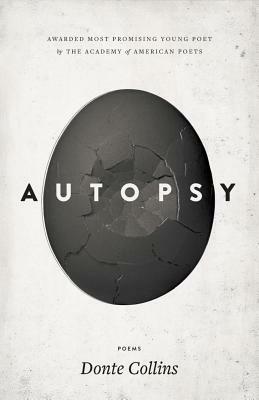 Autopsy propels that work onto the national stage. In the words of the author, the book is a spring thaw -- the new life alongside the old, the good cry and the release after.